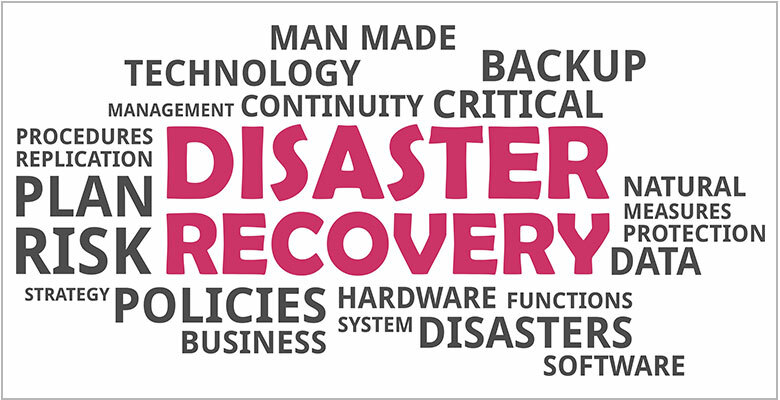 Lacking confidence in your disaster recovery (DR) strategy is not a situation any CIO wants to be in, particularly in the Financial Services sector. In this Q&A interview Daymark consultant, Matt Trottier, shares his experience of helping a financial services client re-architect their DR strategy to ensure failover if a real disaster were to occur. Q. What was wrong with the company’s DR strategy? A. The company’s existing virtual infrastructure consisted of multiple storage arrays, which were replicated by RecoverPoint, an array-based replication solution. This DR strategy was not scalable or easy to manage and the client had little confidence that they could failover their applications in a real disaster situation. Q. What were the key challenges? A. The key challenge was to help the customer re-architect their virtual infrastructure from an environment built around array-based replication and move to one that better supported virtual replication. We took a consultative approach and held a 2-day discovery and workshop session to better understand the customer’s environment. Q. What solution did Daymark recommend and why? After this in-depth analysis, we recommended implementing Zerto – a storage agnostic, hypervisor-based DR solution. We knew this approach would simplify and automate recovery of their critical Tier 1 applications. Continuous data protection – journal based recovery. The last known good replication is not your only option to recover. Customers have up to 30 days of granular recovery points that can be stored in the journal. Completely storage agnostic. Zerto replicates at the virtual disk level not the datastore/LUN level, monitoring and capturing writes per virtual disk and replicating them to the target site. Zerto supports replication and recovery between private clouds (vSphere and Hyper-V) and public clouds (AWS, Azure, VMware Cloud Provider) in any combination. It also handles the VM conversion into the destination format upon recovery. Q. Were there any obstacles making the move to Zerto? A. Getting the infrastructure ready for Zerto requires planning, but once your strategy is in place, implementing it is relatively easy. Q. How has this new DR approach been received across the organization? A. The customer had several large SQL databases that supported real-time critical financial trading apps spread across two different storage arrays. One was All-Flash and the other traditional spinning disk – both with a high transactional rate. The client needed assurance that Zerto replication could both protect the application and keep up with the data change rate. Zerto not only achieved this, but actually exceeded their current RPO. Plus it reduced WAN bandwidth required for replication of the applications by providing an easy mechanism to avoid replication of temporary SQL database tables, which were stored in separate virtual disks. Q. What was the final outcome of this engagement? A. The customer was able to test recovery of their Tier 1 applications for the first time without impacting production. During the testing, they actually found some application coding issues in their apps that were not previously known. They now have a repeatable process for implementing DR for other applications in their environment between their data centers. A. One of the benefits of using a hypervisor-based DR platform like Zerto is it allowed the customer to gain greater visibility into their storage platforms. Since Zerto is storage agnostic, clients are not beholden to a specific storage vendor for replication and instead have the flexibility to choose the right storage technology for each application’s requirements. The other great benefit of Zerto is it’s native cloud support. The client now has the ability to replicate and protect (or migrate) workloads to Azure or AWS, or both, depending on their current cloud strategy. If you lack confidence in your DR strategy, contact us. Technical consultants, with expertise in Financial Services, will listen to your pain points, analyze your infrastructure, and make recommendations tailored to your environment.